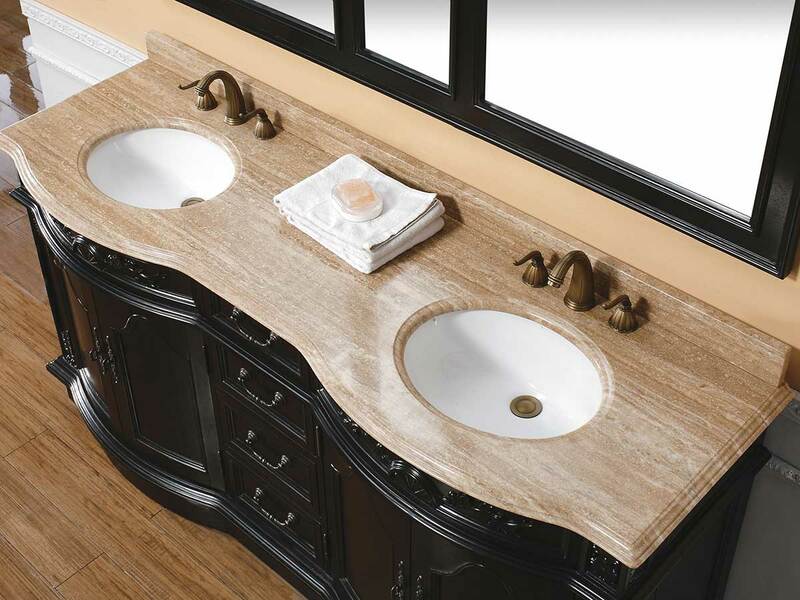 The Morino Double Sink Vanity is a sophisticated centerpiece for the master bathroom. 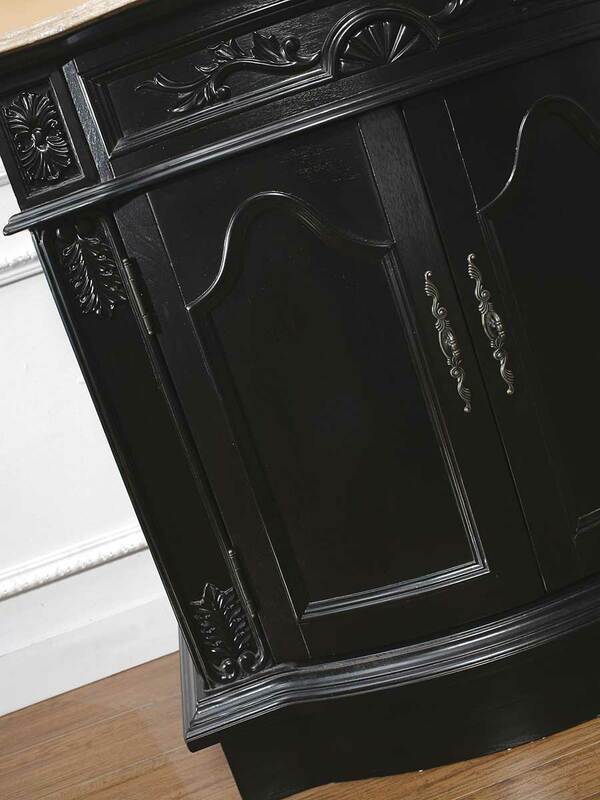 The cabinet features Grade A solid cherry wood construction that has been kiln-dried to prevent warping and cracking. The travertine top and backsplash have been finished and sealed to prevent stains and water marks. 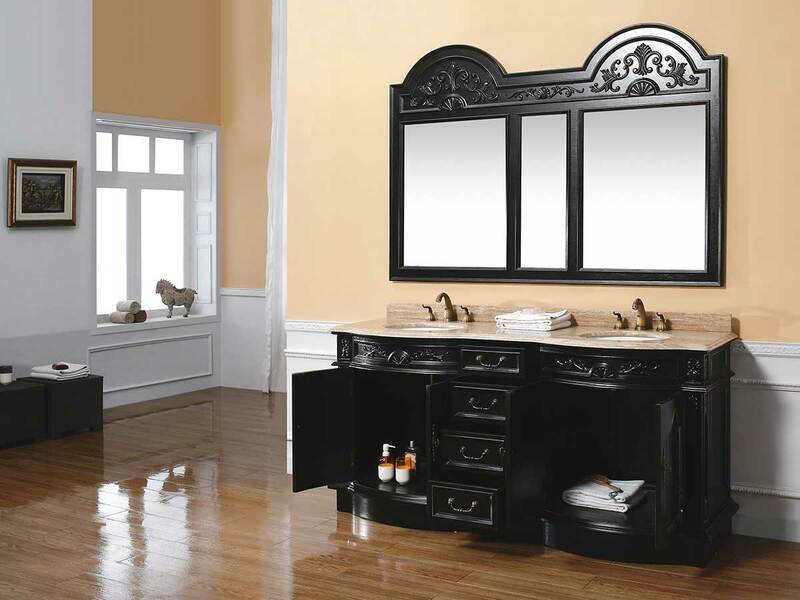 With four drawers and four doors, you will find plenty of storage and organization. 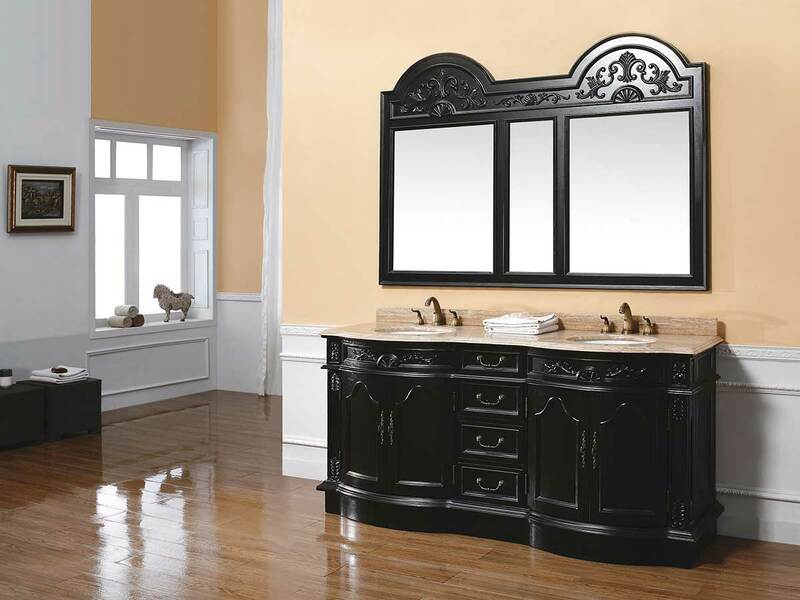 The deep black finish is created by a multi-layer, 12-step hand glaze process the prevents peeling, cracking, and fading. 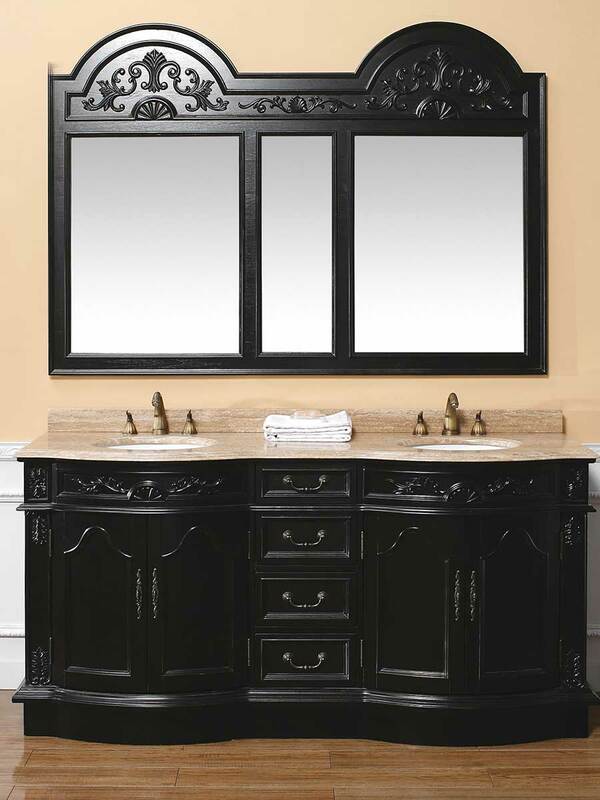 Complete your bathroom with a matching double mirror. Faucets sold separately.